SSR offers 5-week after school GAGA BALL programs for children grades K-5. Perfect activity for any level of skill! SSR is changing the after-school sports activity by leveraging the power of safe, FUN & healthy play! 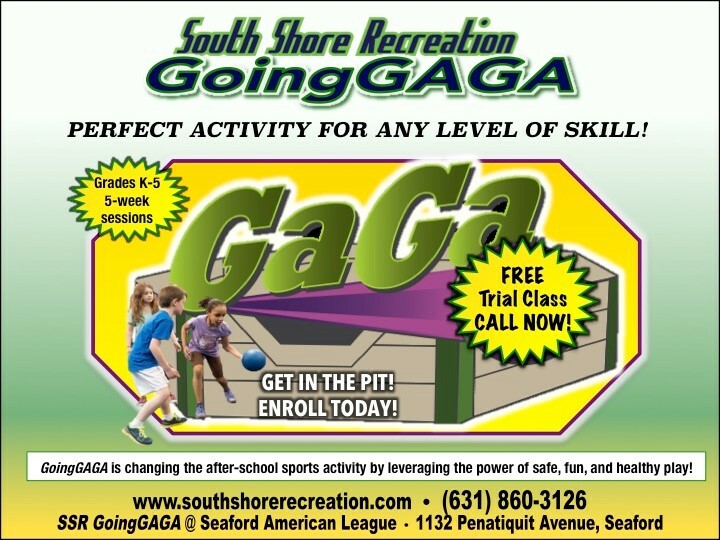 Kids can't wait to get in the pit and enjoy pure GAGA BALL FUN! Kids will leave sweaty and happy! GAGA BALL Will Quickly Become One Of Your Child’s Favorite After School Activities! Open GAGA BALL sessions are here when you need them: holidays, conference days, days off, snow days, and other “what should we do today” days! What makes GAGA BALL great is that kids of any size, age, or athletic ability can play and have the same chance to win as anybody else. Games generally last only a few minutes, and eliminated players are back in the action quickly. Once a player is out, they can have as much fun watching and cheering while the other players finish off the game. Then, a new game starts all over, and you're back in action again! GAGA BALL Has Many Going “GAGA” for Children’s Health and Play! Many schools and camps are looking for fun activities that keep children of all ages and abilities moving. The game’s growing popularity is due to its universal ability to be used in physical education classes, during recess, in after-school programs, or as a camp activity! One of the main advantages of GAGA BALL Ball is that all children, regardless of their athletic skill level, have the ability to participate. 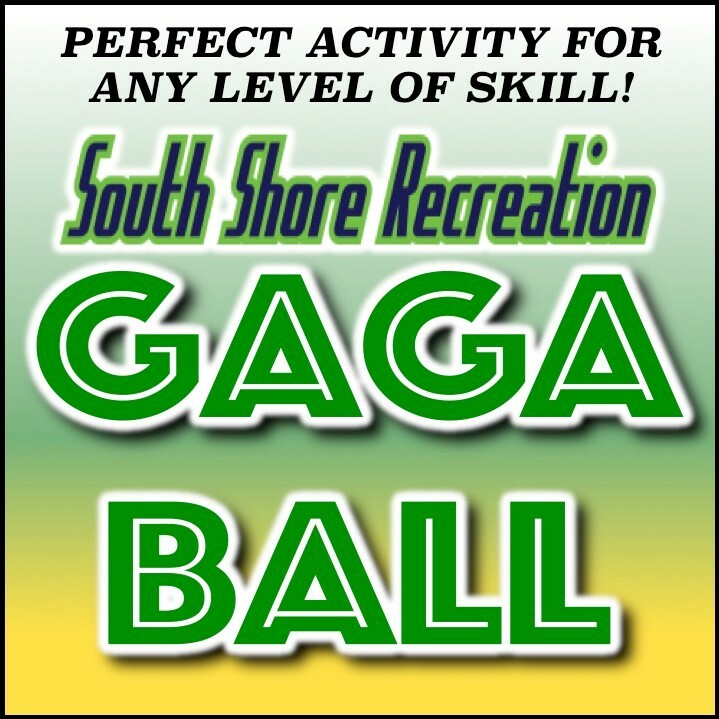 GAGA BALL Ball is a game that incorporates the skills necessary for sports success and athletic development, but is conducted in a fun and easy way that all can enjoy. GAGA BALL Ball levels out the playing field and the most athletic children do not win every game enabling every child the chance to win! 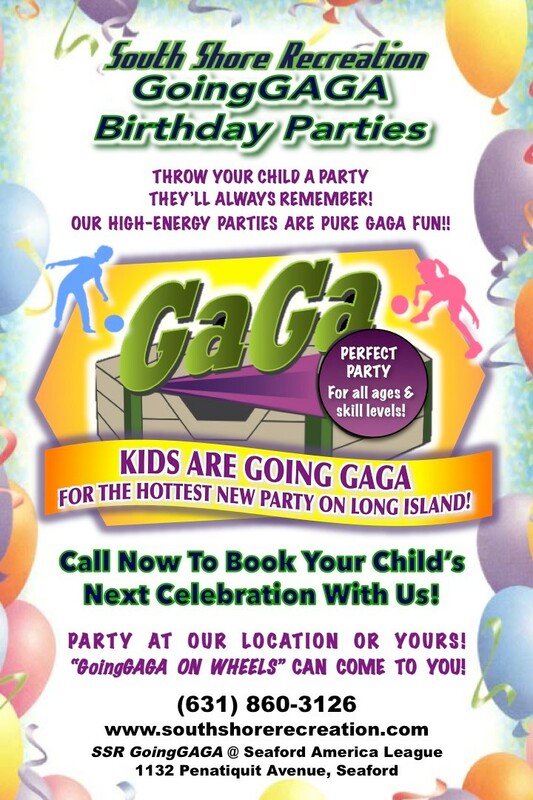 Kids are GOING GAGA for the hottest new party on Long Island! Party at our location or we can come to you! Our fantastic coaches will run the GAGA BALL games so you can host the best party you've ever had! It's an action packed fun time of non-stop GAGA BALL ball games. Kids birthday parties are even more exciting and fun when its not just another bounce house or pirate theme party. 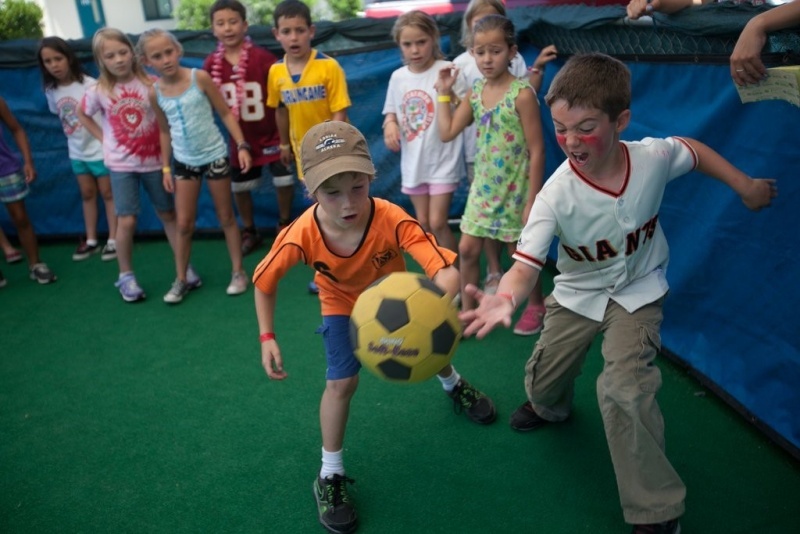 Children may get bored or "age out" of those activities, but never get tired of GAGA BALL! Kids are going gaga for the hottest new party on Long Island! Party at our location or we can come to you! Our fantastic coaches will run the Gaga games so you can host the best party you've ever had! It's an action packed fun time of nonstop Gaga ball games. Kids' birthday parties are even more exciting and fun when it's not just another bounce house or pirate theme party. 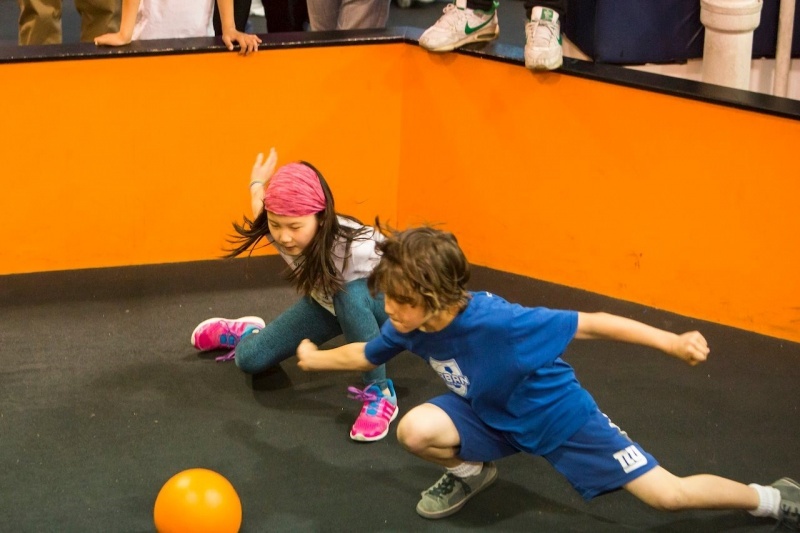 Children may get bored or "age out" of those activities, but never get tired of Gaga Ball!